Leaking roofs are common but are instant trouble! The longer the wait to rectify it, the greater will be the repair bills. Ignoring a roof leak can lead to serious consequences. 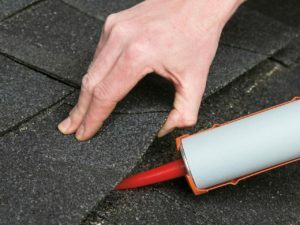 Read on to find why you need to contact a San Antonio roofing company at the first sight of a leak. Leaky roofs cause dampness that can aggravate mould growth. Mould can spread through the wetness easily thus taking over the home and causing some severe health issues to its inhabitants. Additionally, the owner will also end up spending more on the mould remediation. The roof is the first line of defense and deserves to be in good shape always. With a leaky roof comes the problem of pests, impact of adverse weather and intruders. Once the leaky roof is ignored, the physical well-being of the inhabitants is compromised. The wetness from the leaky roof exposes the wood frame to unfavorable weather and eventually weakens the entire structure. When such heavily damaged roofs are ignored for long it might lead to roof collapse and cause a threat to the structural integrity of the property. Water that trickles down from the roof can damage the furniture and other expensive components of the home. In the worst case scenario, it can affect the electrical wiring and cause significant safety issues. A badly damaged roof deteriorates the aesthetic value of the home and calls for the immediate help of a San Antonio roofing company.